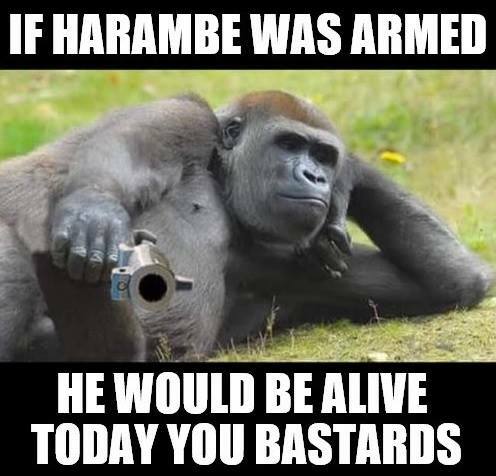 The character assassination of the great martyr Harambe. How many mass shootings in the USA since then? I think the Russian GRU agents and their bots have walked away from the NRA and Harambe threads. They are now focused on talking about collusion so we don't talk about Russian Election Interference or Trump's WikiLeqks buddy Julian Assange getting arrested - the guy who helped the Russians to get Trump elected.